TWENTY ONE + (21.60) ACRES of VACANT VIEW LAND in the amazing Menifee Valley Hills! Rolling terrain on this 21+ acre parcel has many sites for building and growing. Great lot for a mobile home, RV or 5th wheel. SPECTACULAR 360 DEGREE VIEWS of Mountains, Hills, Nuevo & Menifee Valleys & Lake Perris. Make this your private custom retreat, ranchito/compound! Fun weekend/vacation lot for your family & friends. Enjoy the privacy, the natural shrubs, amazing rock formations, habitat/ bird watch or bring your tent for the kids, toys and play! Off the grid property requires a well or install a water tank. Septic tank area. No electricity to the land yet. Solar would make you a utility free home. No bills! No rules & regulations. Plant your own garden to enjoy. Miles and miles of riding trails for your horses /motorcycles/ATV's. 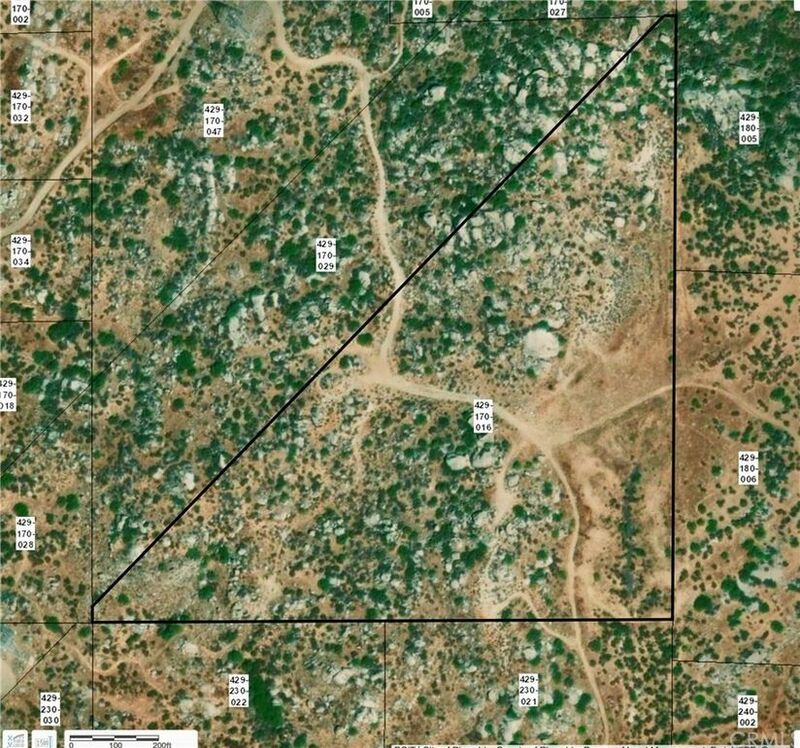 Zoned RR, minimum 2.5 acre per County. Great area for increased property value within the hub of the Golden Triangle. Riverside County - the fastest growing County in Southern California. The Ranches at Sky Mesa on East boundary. Many other surrounding custom homes/ranches. The Villages of Lakeview project coming soon, a mile North, along the Ramona Expressway. This includes subdivisions with 3 schools, 5 parks & commercial. Newport Rd. expansive shopping area & services are only 10 minutes away. Land is between I-215 & new realigned Hwy 79, Hwy 74 & the Ramona Expressway for easy commute. Great investment hold/ builder/developer opportunity!Must see!